Whether you own a compact sedan or a luxurious SUV in Victoria, getting a roadworthy certificate is extremely crucial not only to ensure proper maintenance but also to make driving safer for you, your family and others on the road. In addition, selling or re-registering a used car in Victoria also demands this certificate. RWC is a proof that your vehicle passes the roadworthiness test, ensuring that your vehicle is in good condition and is fit to be on the road. 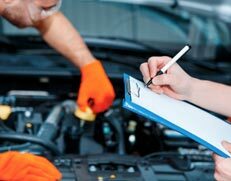 Here at Bob Watson Service Centre, we help vehicle owners across Hawthorn East with their roadworthy certificate needs. Our Certified mechanics will perform a thorough inspection of all the safety components of your vehicle and provide a detailed report on the repairs necessary to pass the roadworthy test. After inspecting all these components, a written report will be issued to you by one of our mechanics. If we find that any of these elements is not up to the safety standards, we will advise you on the right solutions to resolve the problem. Our professionals do whatever it takes to get you the roadworthy certificate without any hassle. Why Choose Bob Watson Service Centre? We are a licensed vehicle tester authorised to provide a roadworthy certificate. We use state of the art diagnostic tools to determine the safety standards of your vehicle. We are prompt, professional and affordable with our car services. We have experienced team servicing all Asian, Japanese and European models. At Bob Watson Service Centre, we have a passion to create safe and well-maintained vehicles for our customers. If you want to make your vehicle roadworthy, you can call us now at 03 9882 2451 to schedule an appointment with one of our vehicle testers.